Kelkar Baug, Opp: Kirloskar Road, Belgaum 590 002. RT Nagar, Bangalore – 560 032. 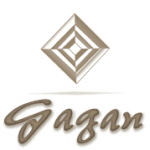 Copyright © 2019 Gagan Constructions and Apartments - Gagan Constructions and Apartments.